Although you may still be recuperating from your year-end fundraising, spring is a great time to grow your annual fundraising program with some new tactics and segmented fundraising appeals. 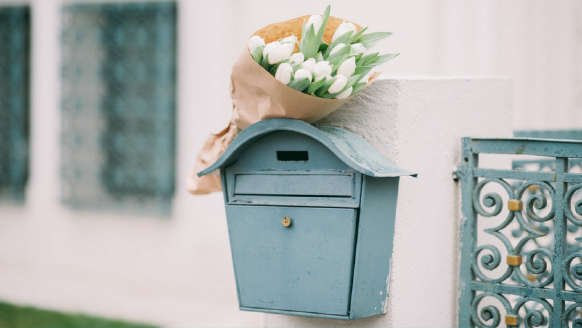 A small-scale project will help you go above and beyond for donors who need more than your general renewal letter, particularly for organizations who mail an appeal only at year-end. You’ll keep your tasks manageable, affordable, and focused on a specific donor segment. You’ll have more time to plan, implement, measure and document. If you get good results from your trial run, you’ll have data to support implementing on a bigger scale or trying another new idea down the road. Test an upgrade appeal. Identify a segment of donors who’ve made a gift of the same amount for three years in a row (let’s say you have 50 donors who gave $50 for three years in a row, for example). Send a letter inviting them to support something specific with a gift of $100. Don’t forget to track responses! Re-engage your lapsed donors. My very favorite spring project is an appeal to multi-year donors who did not make a gift in the previous calendar year (or even the year before last). The timing is just right for a “we haven’t heard from you in a while and we need you” message. You’ll have more time to add a greater level of personalization that will encourage their renewal. Are there clients (or family members of clients) who’ve benefited from your services but who haven’t yet made a financial contribution? Hospitals call this “grateful patient” fundraising. Schools reach out to parents and alumni. What natural constituencies are good donor prospects within your organization? Send an appeal that is relevant to their specific connection with your organization. Have you recently held an event or workshop? If so, have you followed-up with your attendees, thanked them for coming, and shared the impact of funds raised? Shortly after the event is a great time to invite new attendees to support your organization. Depending on the nature of the event, many attendees may not have actually donated at the event. Some may have paid a registration fee (in the case of a run/walk event, for example) or purchased an auction item rather than making a straight donation. With the event and your organization fresh in mind, this is the best time to ask these folks for a gift. Try a Volunteer Campaign. Invite your volunteers to give financially in addition to donating time. Volunteers are some of your best donor prospects, but we often hesitate to ask them to give money. Write to them, thank them for their tireless support, tell them they are your most valued partners, and ask them to join you as a financial partner as well. Shift focus to a specific program area. If your renewal appeals typically ask for general operating support, send an appeal highlighting a program different from what your donors normally hear about in your appeals. This is also a great way to collect data on which program areas individual donors are inclined to support. Managing the logistics of segmented appeals is much easier when you aren’t working with your entire database and don’t have strict deadlines looming. It is much easier to focus on planning, tracking, measuring and documenting results at a time other than year-end, busiest time of your fundraising year. Pick your favorite and give it a whirl!